Corporation is appointed (hired) by the board of directors. These individuals’ are called the ‘corporate officers, or, more simply, “top management.” Individual stockholders do not have the right to transact corporate business unless they have been properly appointed to a managerial post. The top level of management usually includes a chief executive officer (CEO) or president, a chief financial fixer (CFO) or controller, a treasurer, and a secretary. in addition, a vice-president usually oversees each functional area, such as sales, personnel, and production. 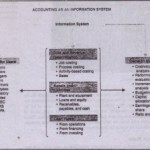 The responsibilities of the CFO (controller), treasurer.and secretary are most directly related to the accounting phase of-business operation. 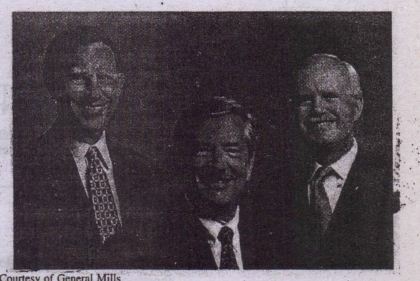 The CFO is responsible for ‘UNESCO of General Mills the maintenance of adequate internal control and for the ‘preparation of accounting records and financial statements. Such specialized activities Photographs of corporate as budgeting, tax planning, and preparation of tax returns are usually placed under the officers often appear in the CFO’s jurisdiction. The treasurer has custody of the company’s funds and is generally company’s annual report. responsible for planning and controlling the company’s cash position. The secretary represents the corporation in many contractual and legal matters and maintains minutes of the meetings of directors and stockholders. Other responsibilities of the secretary are to coordinate the preparation of the annual report and to manage the investor relations department. In small corporations, one officer frequently acts as both secretary and treasurer. 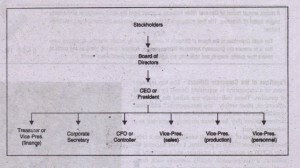 The organization chart on the next page indicates lines of authority extending from stockholders to the directors to the CEO and other officers. Stockholder Records in a Corporation A large corporation with shares listed on the New York Stock Exchange usually has millions of shares outstanding and hundreds of thousands of stockholders. Each day many stockholders sell their shares; the buyers of these shares become new members of the company’s family of stockholders. 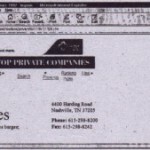 A corporation must have an up-to-date record of the names and addresses of this constantly changing any of stockholders so that it can send divide ND checks, financial statements, and voting forms to the right people. Stockholders Subsidiary Ledger When there are numerous stockholders, it is not practical to include a separate account for each stockholder in the general ledger. Instead, a single controlling account entitled Capital Stock appears in the general ledger, and a stockholder subsidiary ledger is maintained. 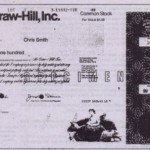 This ledger contains an account for each individual stockholder. Entries in the stockholders subsidiary ledger are made in winter of shares, rather than in dollars. Thus each stockholder’s account shows the number of shares owned and the dates of acquisitions and sales. This record enables the corporation to send each stockholder a single dividend check, even though the stockholder may have acquired shares on different dates. A corporation that has more than one type of capital stock..will maintain a separate. set of stockholders subsidiary records for each issue. Stock Transfer and Stock Registrar Large, publicly owned corporations use an independent stock trailer agent and a stock registrar to maintain their stockholder records and to establishments internal control over the issuance of stock certificates. These transfer agents delft registrars are usually large banks or trust companies. When stock certificates’ are to be transferred from one owner to another, the old certificates are sent to the transfer cent, who cancels them, makes the necessary entries in the stockholders subsidiary ledger, and prepares a new certificate for the new owner of the shares. This new certificate then must be·registered with the stock registrar before it represents valid and transferable ownership of stock in the corporation, Small, closely held corporations generally do not use the services of independent registrars and transfer agents. 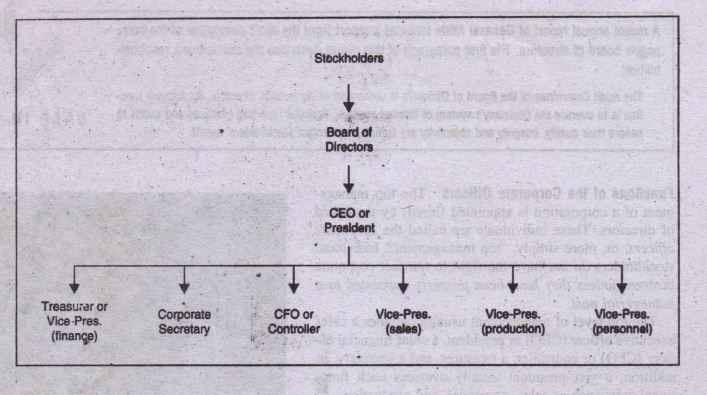 In these companies, the stockholder records usually are maintained by a corporate officer.